One of the most coveted items in the world of press launches isn’t the T-shirt or the factory embossed Swiss army knife or even the ‘must bring back for the kids’ one-off baseball cap. No, we are talking here about the limited edition hardcover souvenir book. The one I now have will take the resources of Interpol to extradite from my paws. This collectable is packed with epic images of the latest Ducati Multistrada 1200 Enduro in the impossibly beautiful Mediterranean surroundings of Italy. 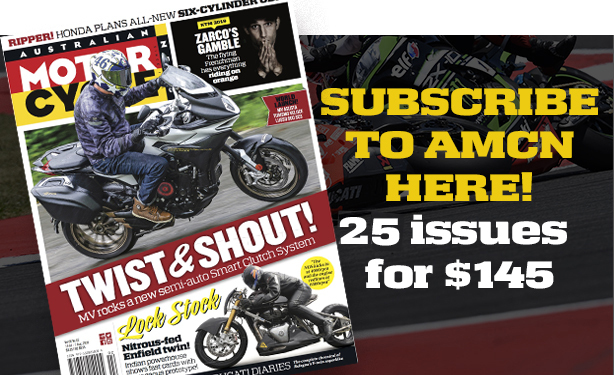 This is the stuff that makes you want to be the hero in your own adventure and AMCN Road Test Editor Youngy was very much part of that experience in our Adventure Issue (Vol 65 No 21). 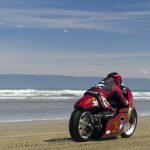 Ducati filled the first part of the book with pictures of aspirational riding on the Enduro, while most of the back pages are dedicated to the in-depth techno bits built into their latest creation. 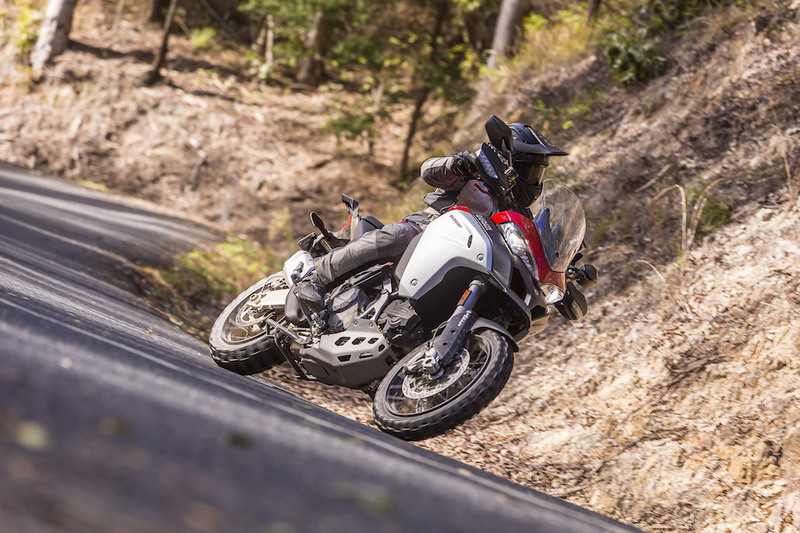 The photos would make anyone want to own the Multistrada Enduro instantly, but mark my words, it will take weeks to find out what this bike is truly capable of, and even more time to understand it and release all of its ability. 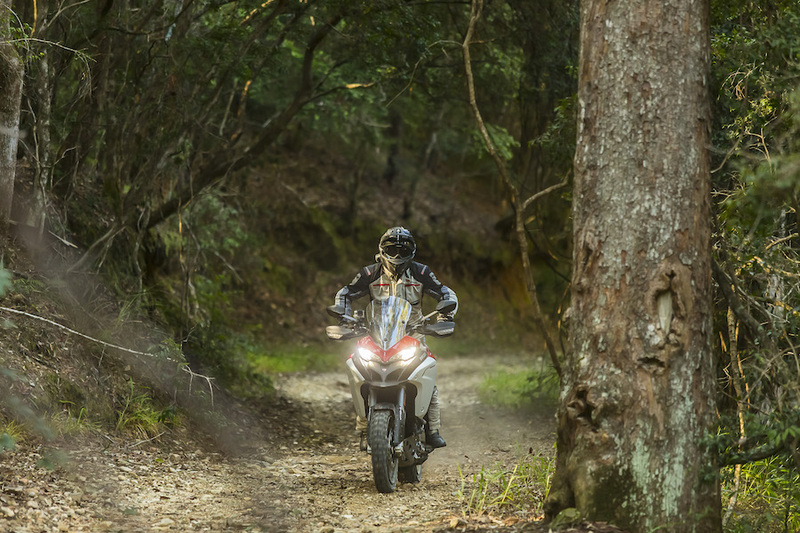 For the Australian launch, we were let loose in the dense forest trails behind Coffs Harbour, New South Wales, These are the roads and gravel tracks that look and feel the same from Tasmania to Cairns and I suspect they have very little in common with Sardinia or Southern Italy. 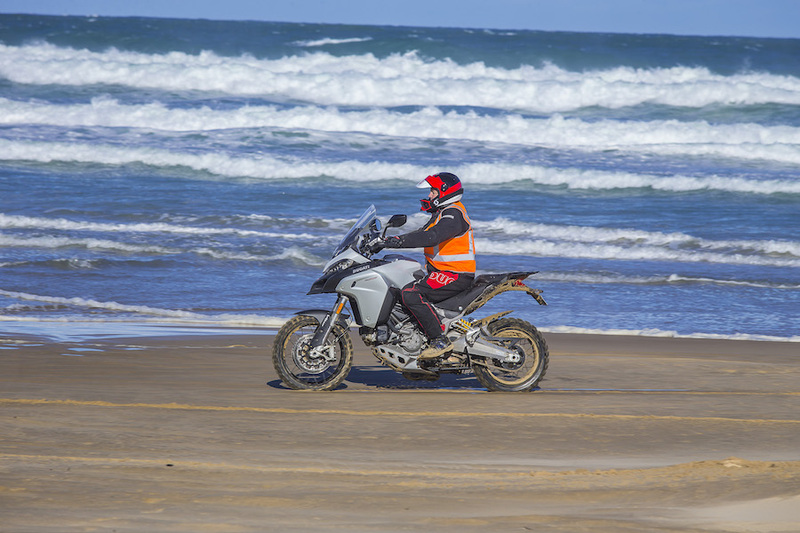 For a start, they are loaded with memories of countless experiences etched deep in my cranium that a day’s scrabble in a far-off land won’t reproduce; they are a reference point and a benchmark for the Multistrada Enduro. And I didn’t need to ride far to confirm that Ducati managed to master all that is good in a super-sized adventure monster on almost its first attempt. 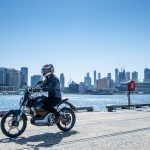 Like the Enduro, heavyweight competition from BMW, KTM, Honda and Triumph (and some of the softer brands) are 225kg plus and have saddles 850mm above terra firma. All work around similar suspension travel of 200mm and ground clearance of 250mm too. 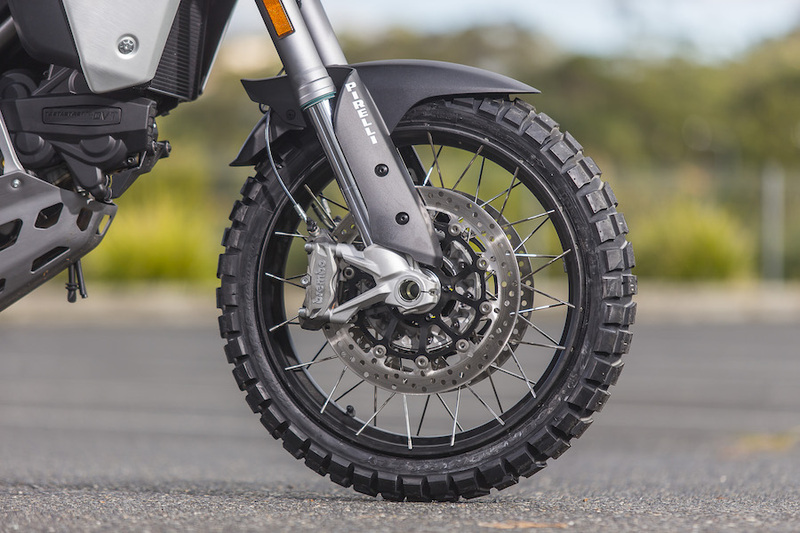 And the Enduro’s 19-inch front and 17-inch rear wire wheels fitted up with aggressive looking Pirelli Scorpion Rally tyres also put the bike firmly in that same market segment. 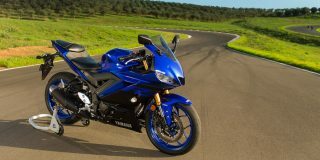 What those other bikes don’t have, however, is a rich history steeped in Latin style, and the amazing ability to shrug off a big weight burden to be a little less intimidating. The launch test took us along a twisting and tight ribbon of challenging 4×4 tracks littered with gravel, rocks, branches and leaves from the last East Coast Low. 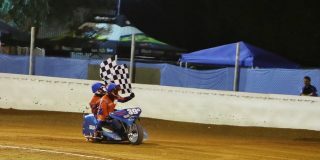 It was a route that would pose the Enduro some important questions. Would this 117kW superbike built around a hardened-up Multistrada platform stop without me visiting the nearest koala nursery? Could I get this monster turned without washing out the front end and planting more than $30,000 of metal over an embankment? And how would the 17-inch rear Pirelli get enough traction before sliding off with the merest hint of throttle? 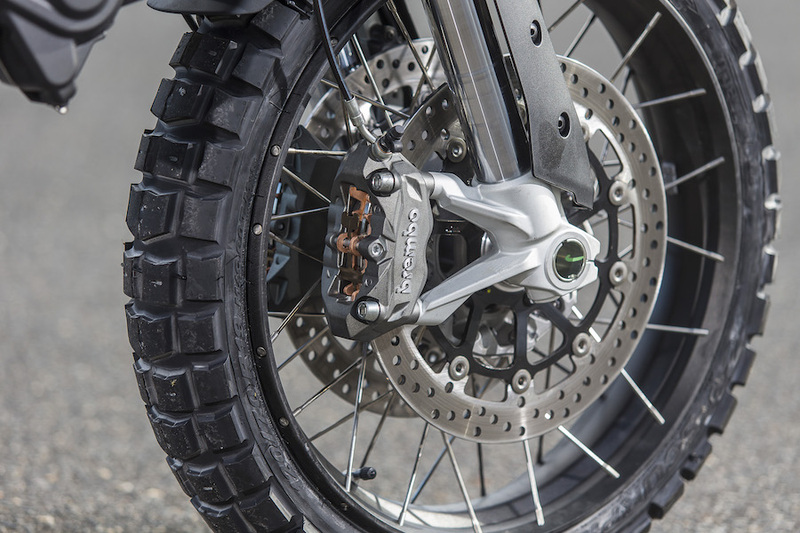 Question one was answered easily by the spare-no-expense Bosch Brembo ABS 9.1ME cornering braking system, which has a degree of control fitting of a 2016 bike. There is also immense programmability within the full-TFT five-inch colour screen and the menu button. 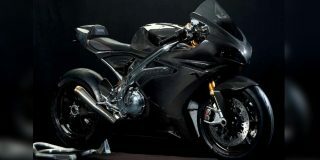 Question two was covered by the black magic of suspension design and manufacturing, coupled with spot-on geometry. And question three was solved by a darker magic in the wiring loom and control boxes below – the pre-sets of the electronics package are as refined as you could wish for in an adventure tourer. 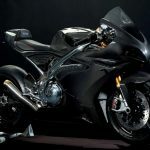 Ducati has backed itself and created a mix of technology and pure muscle to pretty well sweep away anything in its path with a suite of programmed and programmable electronics. This covers every item from how the throttle interacts with the power delivery, to the suspension control and braking ability. And although the pre-sets are superbly calibrated, you can also override and change them at will. For example, say you need to up the suspension preload and rebound to stop any bottoming out over the erosion bumps. It’s simple – no C-spanners or screwdrivers required. With just your thumb and fingers the cure is a minute away, and noticeable. And if the width of management is broad and amazing, the depth is astonishing. I had a cursory plough into the menus for engine response, changing the traction control and adjusting the level of ABS. A push of the button produces a scale of eight increments for almost every parameter plus the ability to turn some of the functions completely off. 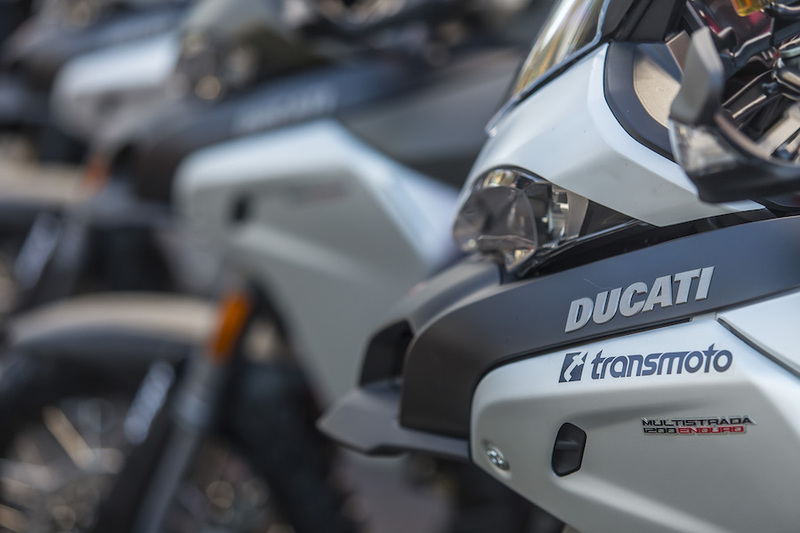 The Ducati system is by far and away the most sophisticated yet user-friendly going. Ducati has thrown almost everything at the Enduro to position well it in the market. The first word that comes to mind is innovative, yet at first that seems hard to justify. 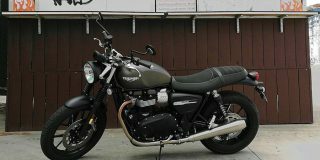 Sure, it has hill-start assist, cornering lights and heated grips, but these are now becoming standard. 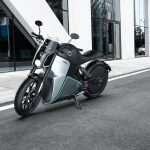 The same could be said of its riding modes, centrestand, big service intervals and large catalogue of quality accessories (like the partnered up Touratech cases and top boxes). And a Ducati isn’t a Ducati without Termignoni or branded clothing and riding gear. 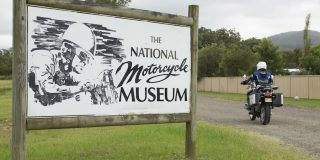 The innovation is pouring all of the above into a motorcycle that can also traverse the globe. What no one else does or has is Desmodromic valve control and ‘that’ sound. The big twin bellow is as satisfying as always when you open it up from behind the protective screen in one of the best cockpits going. In terms of build, I’m the opposite of the Enduro, which is tall and lean at the flanks. But the 30-litre tank is wide and tall so I feel ‘in control’. 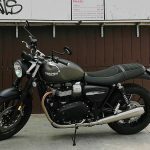 The attack stand-up stance works well with the chunky footrests, adjustable and neatly designed rear brake pedal, and slimness between the knees. At first I thought I would be a bit critical of the Desmo Variable Timing system (which would subdue the pulse of the 1200). But that thought was dismissed fast – the 1198cc powerplant delivers across the board. And lowering the gears by adding three teeth to the rear sprocket and a lower first gear pushes through a huge amount of controllable torque for all speeds. The DVT helps here in a very un-Ducati way and the Skyhook suspension swallows most rocks and large bumps. I really wasn’t a fan of the last couple of incarnations, but now I am impressed. What the Ducati does deliver is refinement with aggressive purpose, sophistication with an animal, ‘raise the hairs on the back of your neck’ attitude. It has character without the foibles, allowing you to have a go at almost anything. This combines the very best attributes of the competition and none of the drawbacks, not that are many these days. But you’d be entitled to expect that with a bike in this price range. 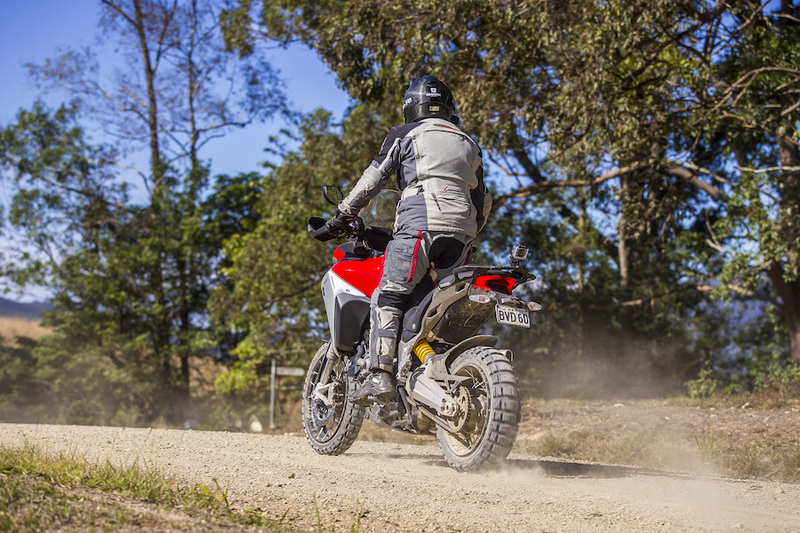 The new Enduro delivers on the unfulfilled promise of the first Multistrada and encourages you to get dirty, dusty and quench your adventurous soul. Bella! 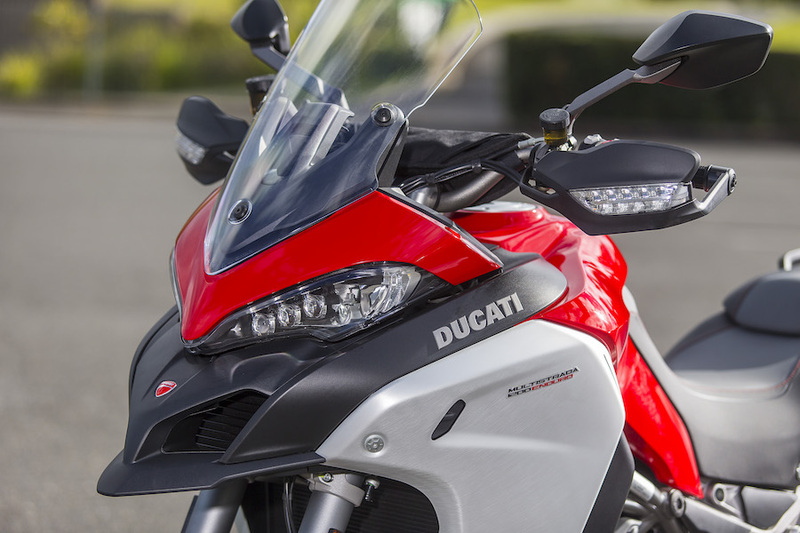 while the Multistrada Enduro starts from $29,990 plus on roads, Ducati offers various option packs.